Surat: Prime Minister Narendra Modi on Wednesday stressed the need for a full-majority government at the Centre, saying “hung parliaments” stalled the country’s progress in the last three decades. Addressing a gathering here, he also defended the government’s demonetisation move, saying it brought down prices of houses and made them affordable for the young generation by checking black money in the real estate sector. “As you all know, India witnessed instability for 30 years due to hung parliaments, as no party received a majority. This had stalled the country’s development. And the country even regressed on some parameters due to that situation,” Modi said. “We are progressing today because the people applied their wisdom in casting votes [in 2014 elections]. Their votes eradicated that 30-year-old illness called hung parliament and helped form a full majority government at the Centre,” the prime minister said. “You can ask me what I have done and I can give you answers because you voted for us unanimously. We have done what we have done because of the mandate we got. If we were a coalition government, then we could have given many reasons for not functioning properly,” he said. Modi was speaking after laying the foundation stone for the extension of the terminal building of Surat Airport. The prime minister said his government in the last four and a half years constructed 13 million houses, against the 2.5 million houses built under the previous UPA government. “If the previous governments had to do the work we have done so far, they would have needed another 25 years,” Modi said. Black money used to be parked in the real estate sector, but with decisions like note-ban and Rera we put a check on it. The prime minister also justified his government’s decision to scrap old Rs500 and Rs1,000 notes in November 2016. “I was asked what has been benefit of the note-ban decision. You should ask it to the youth, who could buy houses at affordable rates after the decision. 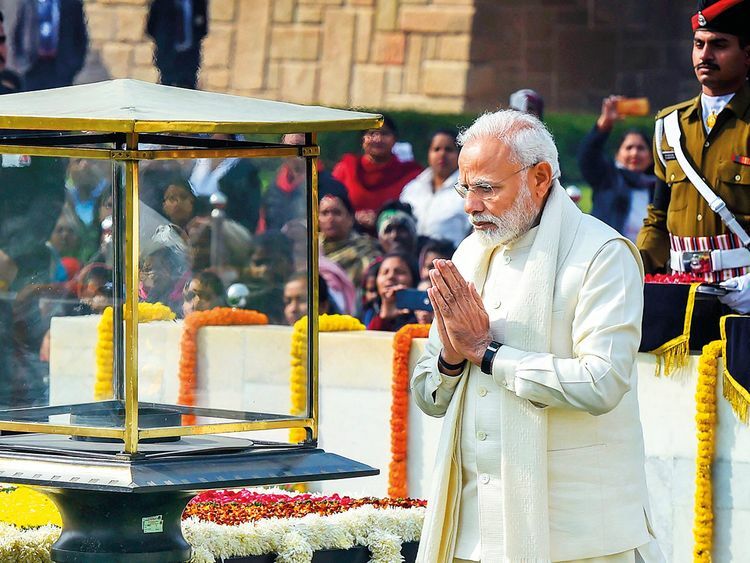 “Black money used to be parked in the real estate sector, but with decisions like note-ban and Rera [setting up of Real Estate Regulatory Authority] we put a check on it,” the prime minister said. The success of Mudra loan scheme, he said, too was possible only because his government enjoyed a full majority. Out of more than 150 million people who got loans under the scheme, around 42.5 million were first-time entrepreneurs, Modi said. “It was made possible because you voted to power a full-majority government,” he added. Past governments at the Centre intentionally refused to sanction an airport in Surat when he was chief minister of Gujarat, Modi alleged. “There was a time when people had to take to path of agitation to get an airport in Surat. Even I, as CM, wrote numerous letters to the Centre for that. But owing to some political calculations, the Centre tried to stall the approval,” he said. While he and his government are trying to change the old system, some people are mocking his efforts, Modi said. “Some people, who only cared for themselves and did not think about the country for six-seven decades, cannot see a changing India. But we will move forward without paying attention to such people who have a negative mentality,” the prime minister said. Modi later inaugurated Smt Rasilaben Sevantilal Shah Venus Hospital in the city. Speaking at the function, he said the NDA government showed courage in granting quota for the economically weaker section in the general category. “The non-reserved classes were angry. They were having expectations. We have shown courage and amended the Constitution, without which, the 10 per cent quota was not possible,” he said.